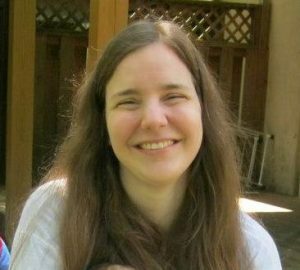 Rachel Kolar has written several short stories for adults, most of which fall under the umbrella of dark fantasy or light horror, as well as a picture book about her favorite subject: Halloween. She lives with her husband and children in the Baltimore/Washington area, where they enjoy hiking, playing overly complicated board games, and plotting new ways to terrify trick-or-treaters. You can follow Rachel on Twitter at @KolarRachel or on Facebook at RachelKolarSpecFic.